The South Fork 2A high school baseball race tightened after Bandys High beat league-leading Maiden on the road on Thursday night. The Trojans won 8-3, snapping a two-game losing streak and dropping the Blue Devils to 8-2 in the conference. The result — coupled with North Lincoln beating West Lincoln1 16-0 at North Lincoln — trimmed Maiden’s lead to one game over Bandys, North Lincoln and West Lincoln with four conference games to go. East Lincoln and Lake Norman Charter are scheduled to finish their suspended game from Thursday on Monday at East Lincoln. On Tuesday, there’s a game key at Maiden at 7 p.m., with West Lincoln visiting. The other league games on Tuesday (7 p.m.) are Newton-Conover at Bandys, North Lincoln at Lake Norman Charter and East Lincoln at Lincolnton. Cy Spencer pitched a complete game, scattering eight hits and giving up three earned runs, to lead Bandys to a victory. He struck out three. Spencer went 2-for-4 and Sal Ferrari went 2-for-4 with a double for the Trojans (9-4, 7-3), who improved to 3-4 on the road this season. Ross Fowler took the loss for the Blue Devils (8-4, 8-2). He gave up four runs (one earned) and struck out seven. Carlos Reynoso was 2-for-3 with a triple for Maiden, which had a two-game win streak snapped. Maiden’s rematch with West Lincoln on Tuesday starts at 7 p.m., and the Blue Devils edged the Rebels 4-2 on March 14 at West Lincoln. Bandys — a win away from reaching at least 10 wins for the 16th time in 23 seasons – faces Newton-Conover at home on Tuesday at 7 p.m. The Trojans won 14-0 in five innings at Newton-Conover on March 14. The Knights (10-4, 7-3) reached double-digit scoring for the fifth time this season and had a season-best in runs as they rolled past the visiting Rebels (10-5, 7-3). North Lincoln scored three runs in the first inning, one in the second and six in the third and again in the fourth inning to lead 16-0. Matt Heaver went 3-for-3 and drove in four runs for the Knights, who had 17 hits. Tanner Brumfield added two hits and three RBIs and Daniel Carter, Jake Quilla, Landon Reeves and Jake Soorus added two hits each. Quillia and Soorus each had two RBIs. Joey Cobb was the winning pitcher, going five innings. He gave up three hits, no runs, walked one and struck out eight. West Lincoln, which lost its second straight game, had not allowed more than eight runs in a game coming in, plays a non-league home game on Monday against East Burke (7 p.m.). North Lincoln has a five-game win streak heading into a non-league road game on Monday at 6 p.m. against North Gaston. The host Red Devils (2-13, 2-9) won for the second time in three conference games, giving them a chance to win three or more league games for the first time since 2016. No game details were available. Newton-Conover — after scoring 21 runs in its first 12 games – has scored 30 in its last three games. The Red Devils were 1-13 in league play last year, 2-12 two years ago and went 5-9 in the old Southern District 7 Athletic 2A in 2016. Newton-Conover has a league game Tuesday at 7 p.m. at Bandys while Lincolnton is at home on Tuesday at 7 p.m. against East Lincoln. Addyson Ikard drove in two runs and Rachel Cook led Maiden (9-3, 7-3) with two hits as the Blue Devils won a conference game at home. Maiden is tied for third place with Newton-Conover. Bandys had just four hits, two by Ashyton Hopson, and Bailey Burton drove in a run for the Trojans. The Blue Devils scored all of their runs in the second inning and they finished with six hits. Morgan Bohemier was the winning pitcher, going seven innings. She gave up four hits, one run (earned) with two walks and 10 strikeouts. Lydia Poovey took the loss for Bandys (6-9, 3-7), pitching two innings. She gave up four hits, six runs (none earned) with a walk and a strikeout. 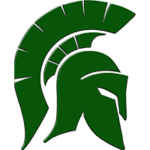 Maiden faces West Lincoln on the road on Tuesday at 6 p.m. in a league game, and the Trojans are at home on Tuesday at 6 p.m. against Newton-Conover. Katie Hogue went 3-for-4 and drove in four runs, sparking the Mustangs (10-3, 8-2 that kept them with a game of first-place North Lincoln. Alexis Duggins added two hits and an RBI, Katelynn Crowe had two hits and scored three runs and Kyle Thress had two hits and drove in a run for East Lincoln. Payton Baker threw a complete game, giving up two hits, walking one and striking out seven for the Mustangs. Lake Norman Charter (2-12, 1-10) has lost five straight games. East Lincoln goes to Lincolnton on Tuesday for a 5 p.m. league game while the Knights are at home at 4 p.m., facing North Lincoln. The first-place Knights (14-1, 9-1) scored six runs in the first inning en route to a home conference victory. North Lincoln had 12 hits, led by MaKayla Watts going 2-for-3 with four RBIs while Morgan McCaslin drove in two runs and Mia Duvall had two hits and an RBI. Watts threw a complete game, allowing four hits and three runs (two earned). She walked three and struck out nine. Alyson Eaker had two hits and two RBIs for the Rebels (6-6, 5-5), who are in fifth place. The Knights are at Lake Norman Charter for a league game on Tuesday at 4 p.m., and the Rebels are at home (6 p.m.) against Maiden. Kirsten Brady opened the scoring on a penalty kick about 25 minutes in, sparking the Knights as they won a road match. Kasey Hahn made it 2-0 in the second half with a score on a free kick, and she also scored on an assist by Ellie Augier. Kaela Rasenberer had five saves and posted her 11th shutout. Lake Norman Charter leads the conference at 9-0-0 and is 12-1-0 overall. The Knights have a Monday home league match against Newton-Conover at 6 p.m.
East Lincoln will play a conference match at Lincolnton on Tuesday at 5 p.m.
Rachel Morris scored the only goal — on an assist by Shelby Pettit – and Maiden won a league match at home. Marley Mingus gained a shutout in goal, making five saves. Maiden (6-4-1, 5-3-0) shares third place with Newton-Conover, both trailing Lake Norman Charter and East Lincoln. Bandys dropped to 2-10-1, 1-7-0. 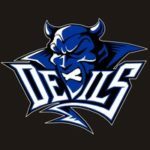 The Blue Devils are at West Lincoln on Tuesday at 6 p.m. for a league match while the Trojans are at home at 6 p.m. on Tuesday, facing Newton-Conover. Information for the roundup includes reports by: Kerry Rasenberger, Lake Norman Charter girls’ soccer; Robbie Abernethy, Maiden baseball coaching staff;and Lindsay Presnell, Maiden girls’ soccer.